What do you think of sardines? Have you ever eaten sardines? Do you love or hate them? I ask all these questions because weirdly enough sardines and this beautiful salad have a strong connection in my life. 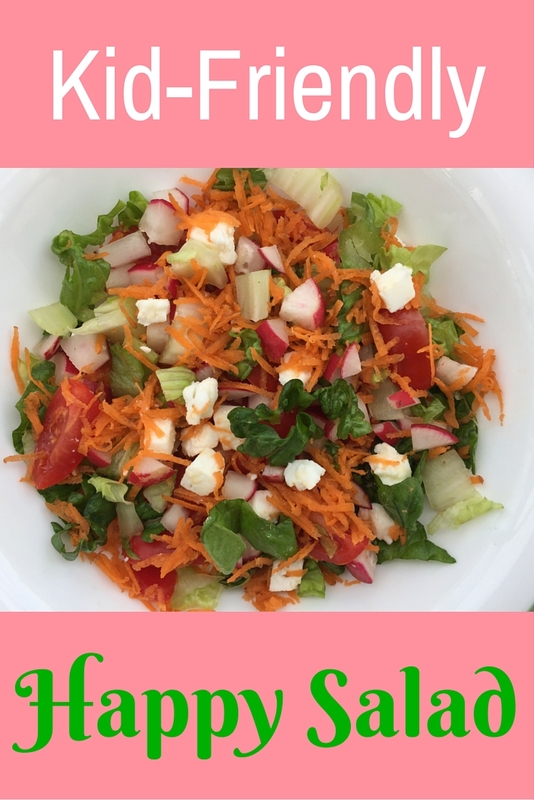 The first time I made this salad I was pregnant with my daughter who is turning 3 this month. I could have eaten this salad every day during my second pregnancy. I craved it, made it, and ate it. Buuuut, I was also craving sardines in tomato sauce. Yup, sardines. This was my lunch more often than not: salad and sardines in tomato sauce. Yum! These days I still love this salad, but sardines are not on my favourite foods list anymore. My love for sardines was passed on to both my kids who eat sardines in tomato sauce about once a week. I hope I did not scare you away with all this sardine talk. You might not enjoy eating sardines, but you will enjoy eating this salad. My whole family (including my extended family) loves it. Feta is optional. If no one in your family has a dairy problem, please add feta to the salad. It takes it to a whole new delicious level. Mix all the ingredients except olive oil and black pepper in a bowl. Chill in the fridge for 30 minutes. Add the olive oil, black pepper if you want (my husband loves adding it), mix, and enjoy. What do you think about this salad? Would you and your family eat it? Would you eat it with sardines 😉 ?